Elizabeth Cisar, PhD, focuses her practice on patent drafting and US and foreign patent prosecution. She also provides patent portfolio strategy and assists with due diligence investigations, as well as patentability, validity, and infringement analyses. Beth evaluates clients’ business priorities and the competitive landscape when optimizing intellectual property protection. Beth's scientific background includes synthetic chemistry, peptide chemistry, molecular biology, proteomics, and assay development. Her broad technical background facilitates deep understanding of life science technologies, and her intellectual property experience spans small molecule and biologic drug candidates and methods of treatment across a variety of therapeutic areas. 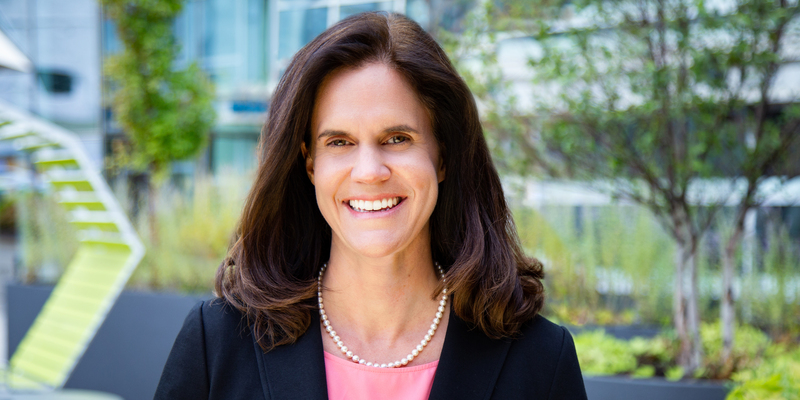 Prior to joining McNeill Baur PLLC, Beth was a Chemistry Technical Writer, then Patent Agent at Ionis Pharmaceuticals, Inc., a publicly traded biotechnology company, where she worked for five years with the medicinal chemistry, discovery, and legal teams to strategically protect key platform technologies and drug candidates. Beth performed her postdoctoral work at The Scripps Research Institute where she designed and synthesized a nucleotide probe for use in proteomics and molecular biologic studies that led to new insights on GTPases and ATPases. In her doctoral work at The Rockefeller University, she synthesized modified, macrocyclic peptides and used them to discover new of mechanisms of receptor mediated signaling in S. aureus. “A GTP Affinity Probe Highlights Flexibility in Purine Nucleotide Selectivity,” J. Am. Chem. Soc. 135(12): 4676-9 (2013) (coauthor). “Sphingosine 1-Phosphate Receptor 1 (S1P1) Upregulation and Amelioration of Experimental Autoimmune Encephalomyelitis by an S1P1 Antagonist,”Mol. Pharmacol. 83(2): 316-21 (2013) (coauthor). “Symmetric Signalling within Asymmetric Dimers of the Staphylococcus aureus Receptor Histidine Kinase AgrC,” Mol. Microbiol. 74(1): 44-57 (2009) (coauthor). “Cyclic Peptide Inhibitors of Staphylococcal Virulence Prepared by Fmoc-based Thiolactone Peptide Synthesis,” J. Am. Chem. Soc. 130(14): 4914-24 (2008) (coauthor). “Molecular Mechanisms of agr Quorum Sensing in Virulent Staphylococci,” Chembiochem 8(8): 847-55 (2007) (coauthor).